Finally got a new lawn ornament yesterday for our front circle. It has been sitting outside for years and has several major cracks throughout. Makes me feel ok about leaving it outside. 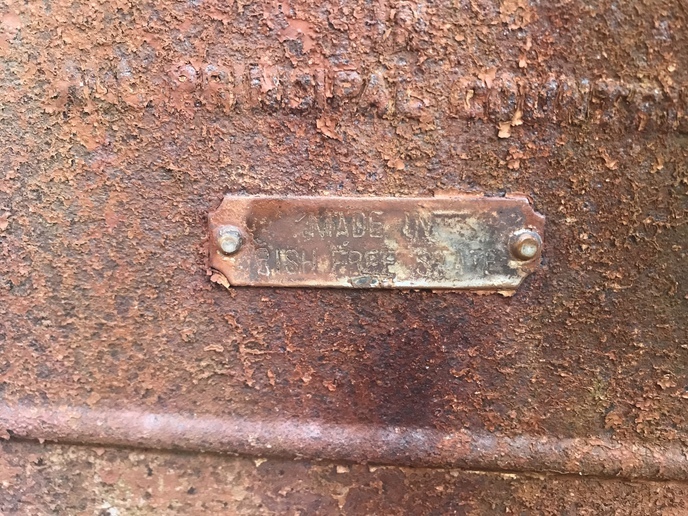 There is this tag by the drivers controls that says ?Made in Irish free states? I figured I would share our new addition with everyone. A good tribute old Iron. Nice decoration. That will turn some heads. made in states where no Irish are allowed? Free as in "Free from England". Irish Free State was what Ireland was called when they first got their independence from England. That's what it was called from 1922-1929. It's called The Republic of Ireland now. 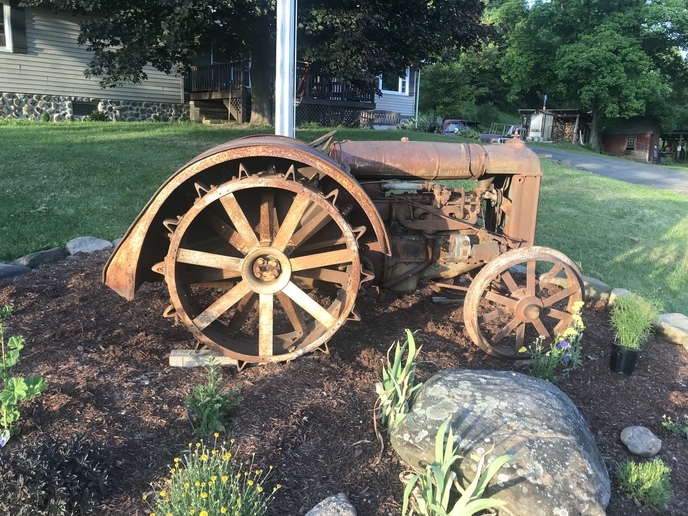 Looks good Felix, I been looking for one a long time for yard art, found one last year about 45 miles south of me but it had rubber tires and guy wouldn?t come off the $600 asking price, it was a non runner and I wanted steel wheels anyway so I passed on it.. The external magneto and governor point to it being a Model N. One of the first, I'd say. But I hesitate, since the Model N engine could be retrofitted to the Model F.
I have '27 Ford with fenders. Does a coupe count.